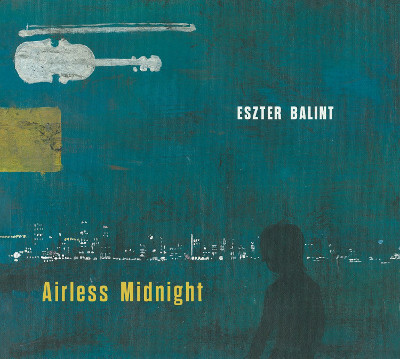 Eszter Balint released her new album Airless Midnight in late 2015. It was recorded at New York’s Brooklyn Recording and Richmond’s Montrose Recording, produced by JD Foster, and features Chris Cochrane, Marc Ribot, Dave Schramm on guitar as well as well as singer songwriter Sam Phillips on harmonies. Eszter has been very busy for the past few years. In 2014 she was making progress gathering material for the new album when out of the blue-after a long hiatus from acting she was offered a part she couldn’t refuse. She agreed to star in a six-episode arc of Louis C.K.’s F/X series Louie, Season 4, a performance which would earn her considerable critical praise. Eszter also improvised compositions, sang and played violin for the episodes which featured her performance. As soon as filming wrapped, Eszter returned to work on her album. The album boasts three of New York’s most distinguished and original guitarists: Chris Cochrane (John Zorn, Zena Parkins, long time EB alumni) Dave Schramm (The Schramms, Yo La Tengo, others) and Marc Ribot (too many to name!). They are joined by drummer Brian Wilson (Johnny Dowd, Neko Case), JD Foster on bass, and Sam Phillips on vocal harmonies. Andy Taub and Don Piper engineered at Brooklyn Recording, and Adrian Olsen mixed with JD and Eszter at Montrose Recording. This is Eszter’s third album working with Cochrane, producer Foster, and engineer Taub, and her second with Ribot, with whom she has also worked on a number of other projects over the years. Eszter is featured on vocals, guitar, violin, melodica, mandolin, random sounds, whistling, and she wrote all the songs. After releasing her second album Mud in 2004 on Bar/None, Eszter took a break and focused on parenting. Once her son started attending school, she began writing again. After a number of years spent writing and polishing these songs, doing studio sessions with other artists and resuming live performance, Balint felt she had a body of work worth capturing in the studio. What resulted is Balint’s most confident effort to date. The lyrics are cohesive and support strong, if mysterious, narratives with a decisive cinematic feel. The accompanying tunes are varied and strategically eclectic in approach. There’s more rock and punk influence here, which gives way to an eerie, calm spaciousness. These songs are artful, sophisticated yet earthy, there’s guts and grit and beauty too; it’s an eloquent expression of her life experiences to date. “My artistic education was first and foremost formed by growing up in an extended family of avant-garde theater makers, originally from Hungary, who created adventurous, surprising works and devoted their lives to taking artistic risks,” recalls Eszter. “My father was one of the founders and my mother was also involved for a time. We settled in New York in 1977, when I was 11, and sometimes set W. 23rd Street a little bit on fire with our performances which literally spilled out onto the street through the storefront where we lived and performed. My home during these formative years was not only where the company created and performed their plays, but it was also an open and revolving door welcoming the most adventurous musicians, filmmakers, visual artists, performers, and writers and painters of the time, as well as some of the renegades of hip hop culture. When we weren’t performing, our space would be transformed into a music venue where among other jazz and blues greats, bands such as The Lounge Lizards, DNA, Sun Ra, Defunkt, and The Contortions regularly performed. 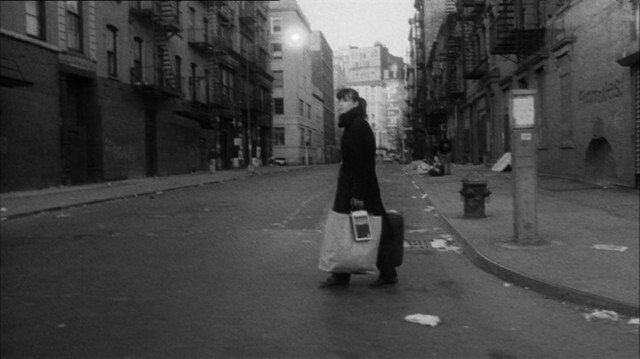 Eszter starred in Jim Jarmusch’s classic Stranger than Paradise, and was featured in Steve Buscemi’s Trees Lounge,and worked alongside Mia Farrow and John Malkovich in Woody Allen’s Shadows and Fog, among other film appearances. She continues, “In 1995, while living in Los Angeles, I decided to fully devote my artistic energies to music-making and words writing, more specifically to becoming a performing and recording songwriter. I have two albums out, Flicker (1999) and Mud (2004), both produced by JD Foster, who has made wonderful records with Richard Buckner and Marc Ribot among many others, which were both received with critical praise. 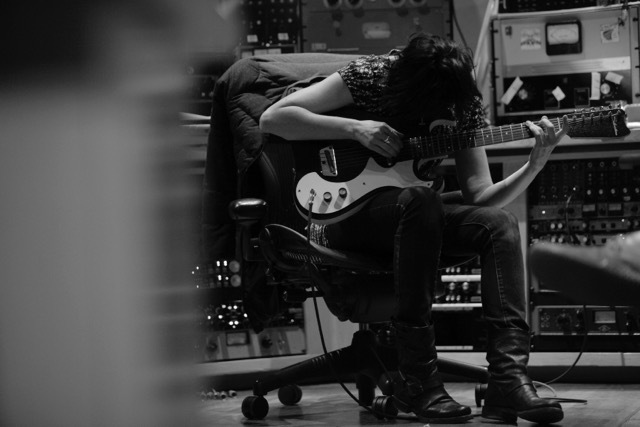 “I have since been fortunate enough to have been asked to lend my violin playing and singing to works by people I consider true artists, most notably guitarist Marc Ribot, and Michael Gira of Swans fame,” Eszter can be heard on violins on two Angels of Light albums as well as Swans’ The Seer, and on vocals and other instruments on multiple Marc Ribot projects including Ceramic Dog’s Your Turn, – a band she was a guest member of through 2009 – and on an upcoming album of Mr. Ribot’s songs.